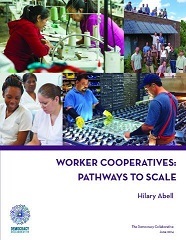 This paper aims to help build the field of U.S. worker co-op development by providing a current view of the cooperative landscape and by analyzing factors that inhibit or promote cooperative development. Although informed by the cooperative giants in Europe, this analysis highlights lessons learned through the development and growth of worker co-ops in the United States. Click here to download the guide.